KH Recoded Gets ‘Age-Rated’ Release Date Soon? Gaming site Just Push Start has kindly provided information about Kingdom Hearts Recoded being rated by the ESRB for North America. The Entertainment Software Rating Board, based on the content of Recoded, have given the game a rating of Everyone 10+ (the same rating Birth By Sleep received) for “fantasy violence”. Hit the jump for the full description! New Kingdom Hearts Recoded Images! 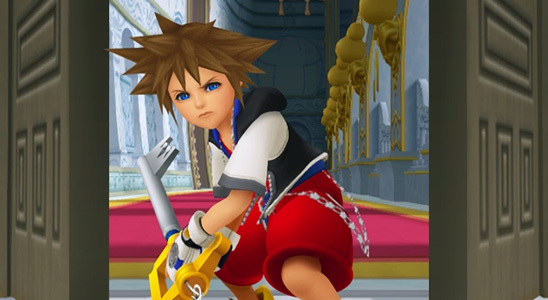 Famitsu’s website has also updated again with new Kingdom Hearts Recoded images! Some of the images shows different cutscenes as well as gameplay features such as the ‘command matrix’ system which is like KH Birth By Sleep command system that you can meld together new commands and much more! KH Birth By Sleep Final Mix Images! Famitsu’s website has updated their website with some images of Kingdom Hearts Birth By Sleep Final Mix! Most of the images show off the same features that are found in the English version of Kingdom Hearts Birth By Sleep but they’re still worth the look! There is also a clear picture of the new boss that the Final Mix version will exclusively get so definitely check that out! Please be aware that some pictures might contain spoilers, so enter as your own risk! KH: BBS Final Mix TGS Trailer To Be Released! Tetsuya Nomura tweeted on The 3rd Birthday account that there are plans to release all trailers that were shown at this years Tokyo Game Show and that even includes the open & closed mega theater trailers too! Kingdom Hearts Recoded Site Update! The official Kingdom Hearts twitter has just tweeted about two new videos that have been uploaded to the official Kingdom Hearts Recoded site! The first video shows off the system used to upgrade your attributes of Sora. While the second video shows the different types of floor trials you can participate in!